IPL 2019: CSK will take on KKR at Eden Gardens on Sunday (April 14). 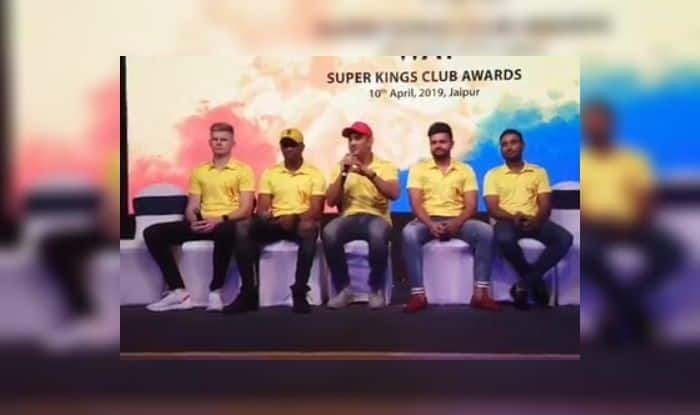 IPL 2019: Chennai Super Kings skipper MS Dhoni revealed an anecdote about Deepak Chahar while asked. Dhoni said that Deepak keeps looking back during the game and I (Dhoni) have to keep telling him to concentrate. Dhoni also said that the youngsters today are very ‘naughty’. It was all in good humour as Bravo flaunted his dancing skills. Defending champions CSK have been the team to beat as the table toppers have lost merely one game from the seven they have played thus far. Here is the video where Dhoni reveals the anecdote of Chahar. Meanwhile, Dhoni has been in good form in the tournament thus far. He smashed a 43-ball 58 to help CSK beat the Royals in a last-ball thriller at the Sawai Mansingh Stadium. Meanwhile, defending champions CSK are on a roll. They have won six out of the eight games they have played so far. Dhoni has been in good form with the bat, he scored a breathtaking 58 off 43 balls to help CSK gun down 151 against the Royals off the last ball. CSK was in a spot of bother when they were reduced to 24/4 chasing 151. Rayudu-Dhoni stitched a timely 105 run stand to bail CSK out of trouble. CSK will now play KKR at Eden Gardens on April 14.